Box Credit provides financial services for companies in the portable storage industry. The types of equipment we finance are storage containers, trailers, lifts, reefers and chassis. 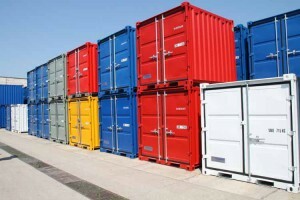 Box Credit focuses exclusively on the financing needs of portable storage and portable self storage container companies and companies like yours. Our industry knowledge, understanding of the markets and creative payment terms breed financial solutions that meet the specific needs of the portable storage industry. Box Credit is the leading intermediary in mergers and acquisitions of portable storage companies. Our programs ranges from evaluations of fleets to complete transactions involving pre-sale preparations, marketing, negotiations and completions of company sales. Box Credit offers a range of advisory services to help portable storage industry companies make sound decisions on growth, management, equipment, financial and other decisions. At Box Credit, we offer financing solutions for companies in the portable storage industry and the portable self storage industry. Our products include a variety of short and long term operating leases as well as lease to own programs of different lengths and loans varying in amounts of a few thousand dollars to several millions. Box Credit has over 20 years of experience dealing with the intricacies of container transactions. Our expertise in equipment, second hand markets, local rental rates and residual values allows us to offer the type of flexible payment structures portable storage companies require. In fact, we can arrange tailor-made financial solutions designed to support your business growth. Box Credit works closely with all major resellers of cargo and storage containers, as well as shipping lines and container leasing companies. Banks, financial institutions and investors throughout the United States support our programs. A combination of diverse knowledge and local expertise gives us a unique ability to offer our services in all parts of the country.